Don’t miss any of these great games! 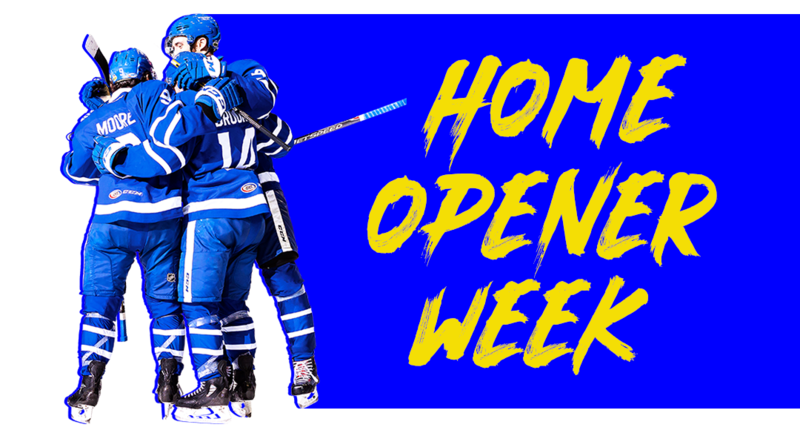 Celebrate the 2018 Calder Cup Champion Toronto Marlies throughout the first week of the season with 3 games of giveaways. 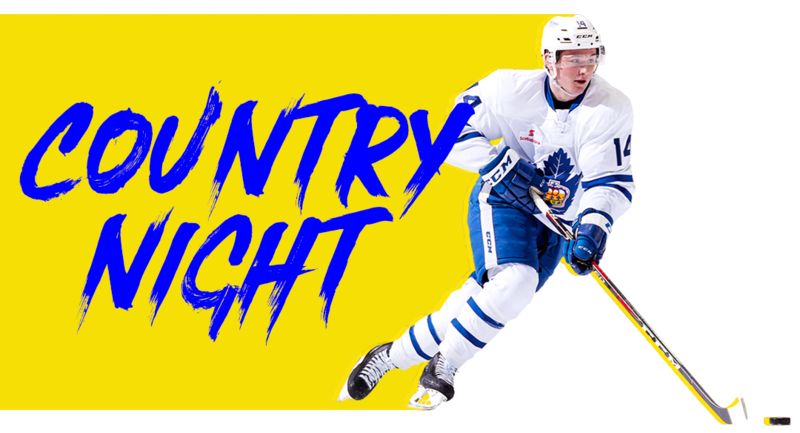 Join the Marlies in our barn for Complete Country Night! Featuring a live intermission performance by Warner Music Canada artist The Abrams, a Marlies trucker hat giveaway, $5 Beers, and country themed activities throughout the evening. 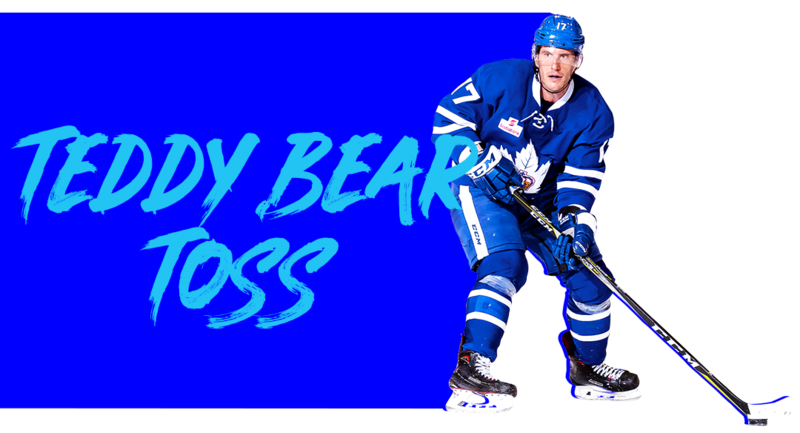 On December 8th, bring a new or gently used Teddy Bear and when the Marlies score their first goal, throw it onto the ice and it will be donated to charity. Join us in a galaxy not so far away as we celebrate Star Wars Night at Coca-Cola Coliseum on Saturday, February 9th , featuring Star wars character appearances, Star Wars themed programming and prizing, and more! The Marlies are throwing it back on March 2nd for our first ever 90’s Night! You’ll want to be one of the first 3,500 fans through the gates to receive an awesome Marlies Fanny Pack! Plus you’ll want to stick around for all the great 90’s music and activities that we’ll have throughout the game! The Toronto Marlies will play at Scotiabank Arena, home of their NHL affiliate the Toronto Maple Leafs, for a series of games this season. 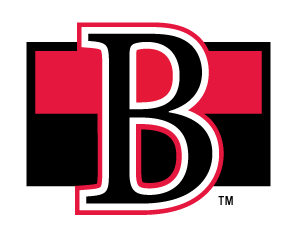 Next game: March 11 – The Marlies kick off March Break at Scotiabank Arena when they host their Ontario rivals, the Belleville Senators. 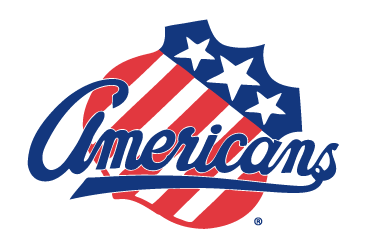 Join us on Sunday, March 24th at Coca-Cola Coliseum for Women’s Hockey Day! 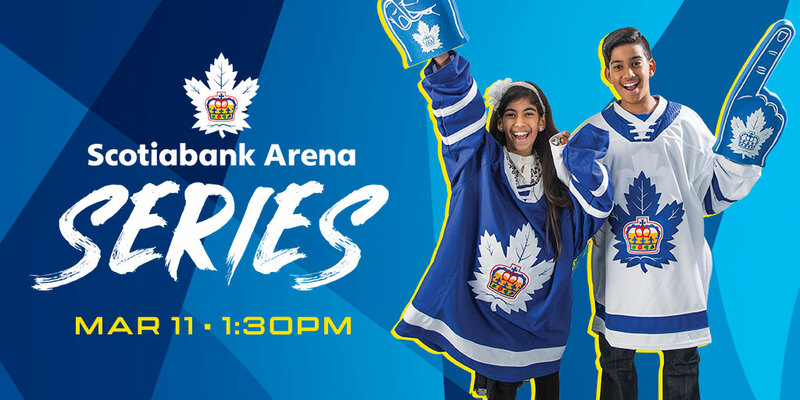 The Marlies game at 5:00PM will feature special guest appearances as we continue the celebration of Women’s Hockey following the CWHL Clarkson Cup final at 12:00PM. Celebrating full days of hockey in the most hockey crazed city in the world! 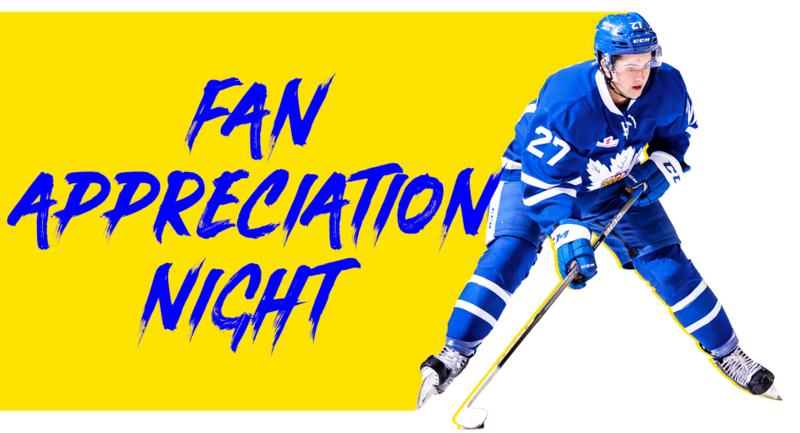 Join us on Doubleheader Saturday’s where the Leafs and Marlies are both playing at home for your chance to win great Leafs and Marlies prizes. 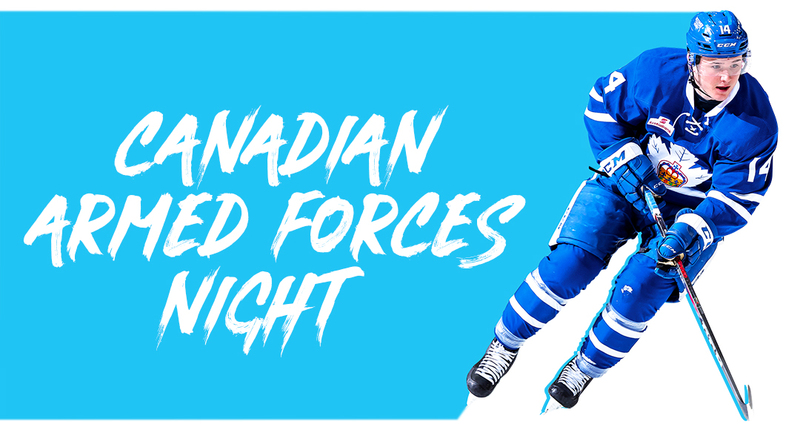 Celebrate the troops with the Marlies as we host members from the Canadian Armed Forces on March 30th. Join us on April 14th for the final game of the regular season when we celebrate YOU, our incredible fans. We’ll have giveaways throughout the game as our way to say thank you for your support all season.